Along with a smart speaker like the Amazon Echo and Google Home, a common first step into the smart home world is with lighting. 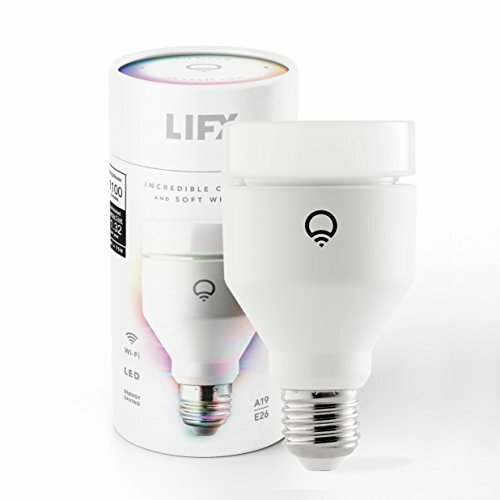 These LED bulbs connect to your Wi-Fi network (either directly or via a hub plugged into your router) and let you control their brightness, warmth and color with a smartphone app, or even your voice. Whether you are kitting out your new movie and gaming den, or wanting to add some subtle new lighting to the living room, kitchen, bedroom or even the garden, smart lighting is here to help. It is worth bearing in mind that smart light bulbs are far more expensive than the bulbs you are used to buying. They might look similar and have the same screw or bayonet fitting, but they can cost in the region of $25 per bulb for white, or round $50 or $50 for a bulbs capable of shining any color. But, being LED, they are designed to last for tens of thousands of hours before failing, so you still get your money's worth. As well as bulbs with regular fittings to replace those you currently have installed in your lamps and ceiling, some manufacturers also sell LED light strips designed to be stuck behind, above or below things to create pools of light against the floor, ceiling or wall. These work best behind televisions or under kitchen cupboards, where they emit a pleasing glow. Then there are feature lights which can be attached to your wall like abstract pieces of art, weather resistant bulbs for outdoor use, and a whole range of dimmer switches, remote controls, motion sensors and smartphone apps to get the most out of your lighting. There are several manufacturers to pick from. Some allow their bulbs to work with other systems, but for the most part it is worth picking one brand and sticking with it. When smart lights are installed, your old wall switches will still work - they will still switches the bulbs on and off. But it is generally recommended that you leave the switches in the on position and instead control the lights via their app, wireless switches, or a voice assistant. Widely regarded as the market leader, Philips Hue offers a wide range of bulbs with different fittings to make sure they will work with your current setup. The company also sells LED light strips, ceiling fixtures, and lamps, some of which are even portable and battery-powered. As well as lights, the Hue range consists of dimmer switches and motion sensors for automatically triggering lights when you walk past - useful for in the bathroom at night, for example - and from this summer a range of weatherproof outside lights will be available too. 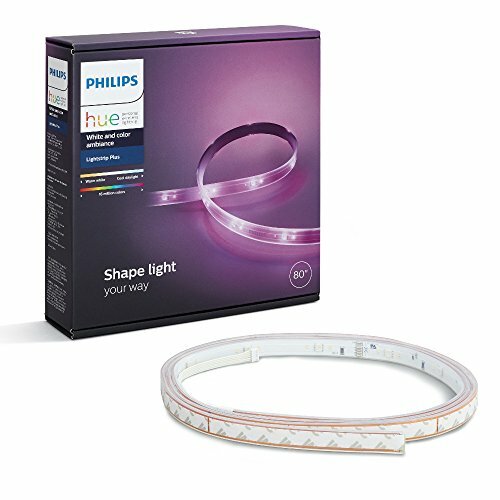 An important thing to remember about Hue lights is that they require a bridge to function. This connects to your router and you only need one per household, but the lights will not work about it. As such, you are best buying one of Philips' starter packs, which come with bulbs, the bridge and, in some cases, a wireless dimmer switch too. Hue bulbs come with a wide range of fittings, including A19, B22, BR30, E12, E14, E27 and GU10. If you find that your current light fittings do not support any of the above options, then you can swap out the connections without too much effort or expense - although, naturally, this will depend on the size of your house. 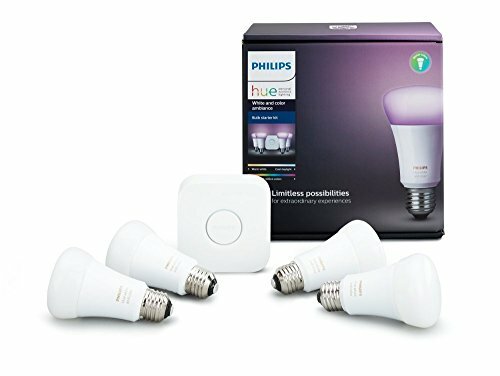 As well as offering a wide range of bulbs, Philips has taken the interesting move of allowing third-party app developers to take control of its products. So while the official Hue app will offer enough control for most users, other apps bring more features. There are apps for making your lights simulate candle flicker and fireworks, for example, or the crackling of a log fire. 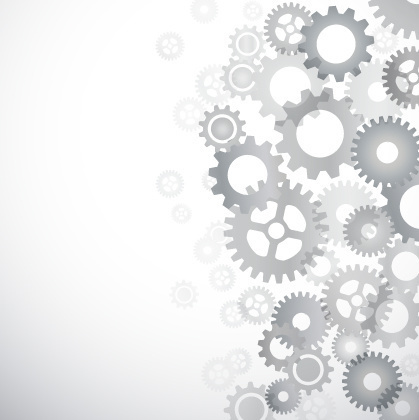 Gimmick, perhaps, but the degree to which your system can be customized exactly to your taste is extraordinary. Other than the smartphone apps, Philips Hue lights can also be controlled by issuing voice commands to Alexa, Google Assistant and Siri. Extra controls can also be created by setting up your own IFTTT (If This, Then That) applets. Although a relative newcomer to the smart light business, Lifx is seen as one of Philips' biggest rivals. Lifx bulbs generally cost more than the equivalent Hue - up to $80 per bulb in some cases - but they are go brighter and the Lifx+ range emit invisible infrared light at night, helping to boost the view from your night vision security cameras. Another bonus for the Lifx system is that the bulbs do not use a hub. Instead, they connect directly to your router. Like Philips, Lifx offers its bulbs with a wide range of fittings, including A19, BR30, E26, E27, B22 and GU10. Lifx also sells LED light strips for creating mood lighting and the Tile and Beam, two products designed to sit on your falls like illuminated piece of abstract artwork. Lifx lights can be configured to respond to voice instructions issued to your Google Home or Amazon Echo smart speaker, and to Siri on your iPhone via Apple's HomeKit platform. As with Hue, Lifx lights can be set to switch on gradually in the morning to simulate a sunrise and dim gradually at night when you go to bed. Bulbs can be grouped together into rooms on the app — as Hue can also do — so you can switch entire rooms or even floors on and off at once, either with a tap or a voice command. Like Lifx, smart bulbs by Wiz connect directly to your Wi-Fi and do not use a separate hub or bridge like the Hue system does. If you already have a smart hub installed, then you can connect Wiz bulbs to it using IFTTT or Conrad Connect — this is also how you hook up Wiz bulbs to devices like the Nest smart thermostat. 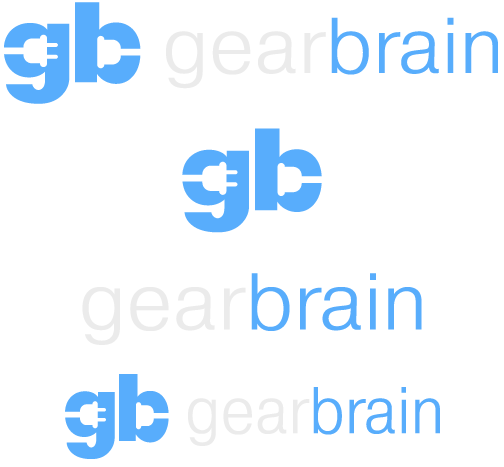 GearBrain recently reviewed the Wz starter set and was impressed by how many IFTTT applets are available. Our favorites included one which turns all lights on when an intruder is detected at night, and one which will turn your lights (or one light) a certain color when your favorite TV show is about to start. Another cool feature if Wiz lights is vacation mode, which is selected from the system's smartphone app. This switches the lights on and off i patterns which resemble there being people at home, which should go some way to deterring burglars. 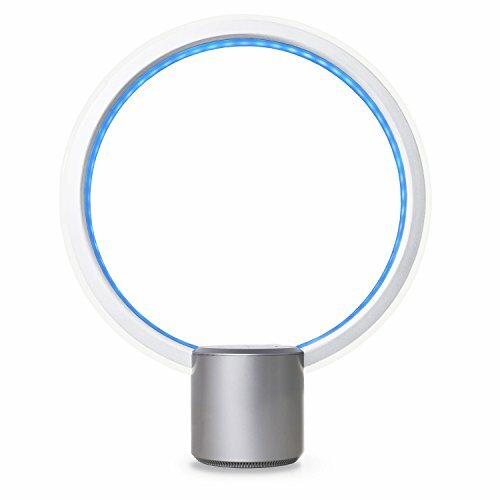 WiZ WiFi connected smart LED Hero table lamp. Wood color. Dimmable, 64,000 shades of white, 16 million colors. Compatible with Alexa and Google Home. Wiz smart lights can be controlled with their companion smartphone app, voice commands to Alexa and Google Assistant, or with an infrared remote control. The latter might seem old fashioned, but it has buttons for assigning favorite colors or setups to each room; for less tech-savvy members of the household, pressing a button will likely be easier than opening the Wiz phone app or speaking to Alexa. A final party tricks if how Wiz can make your old switches smarter, by essentially letting them control two different lighting modes. Once set up, accessing the first lighting mode is done by flicking the switch on — but flick it off and on again with five seconds, and the lights will change to mode two. 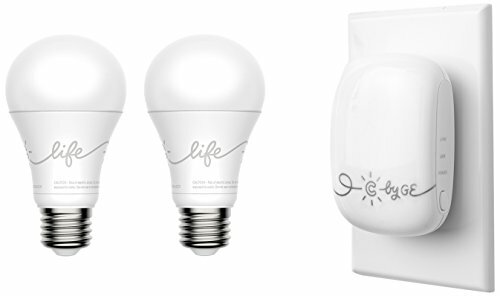 Wiz bulb connections include the E26 and BR30 standards, plus the company sells a range of smart table lamps. Sylvania Smart+ lights are compatible with the ZigBee smart home standard, and work with Samsung SmartThings, Wink, Alexa and Google Assistant. 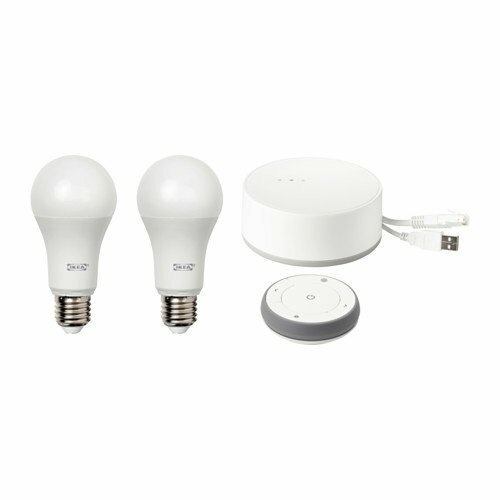 The bulbs require a ZigBee-compatible hub to function, so you will need to already own something like an Amazon Echo Plus or SmartThings Hub to get them working. 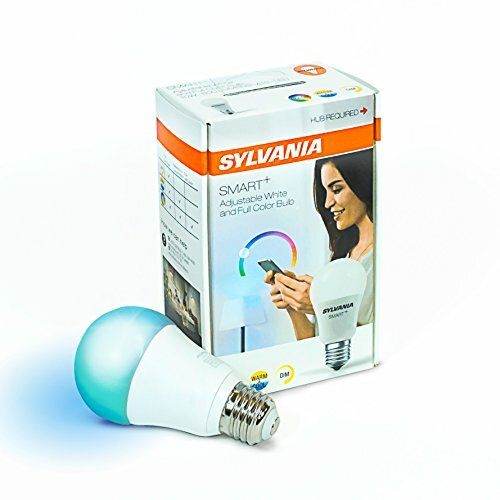 Soft white and dimmable smart lights by Sylvania start at just $15, while a two pack of color bulbs costs around $50. Fittings include the A19, BR30 and PAR38 standards, and the company also sells LED light strips and wireless dimmer switches for greater control. The Tradfri range of smart lights by Ikea starts at around $20 for a white bulb, while a starter kit with two bulbs, a wireless dimmer switch and the gateway needed to connect the bulbs to your router is under $100. 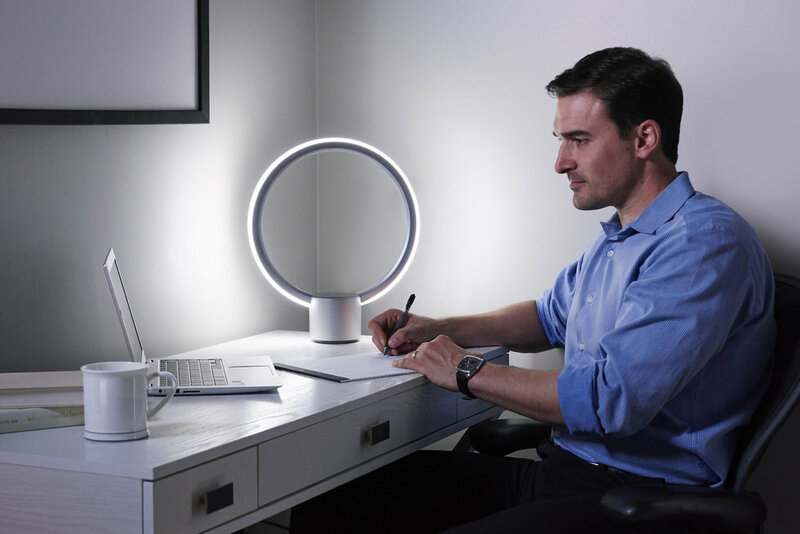 Ikea also sells color bulbs for this smart light platform, and the bulbs can be added to an existing Philips Hue system if you own one but are looking for cheaper bulbs. Tradfri bulbs can be controlled by the Ikea app for iPhone and Android, or via Alexa and Apple HomeKit. Google Assistant support is in the works, but does not have a release date. Some of the cheapest smart bulbs are from C by GE, as they start from just $20. But that low price also means they lack the features, colors and sophistication of their pricier alternatives. In their simplest form, the bulbs connect to your phone by Bluetooth instead of to your Wi-Fi network. There are three temperatures of white to pick from, ranging from warm yellow to cool white, and routines like being brighter in the morning and dimmer in the evening can be set. With the addition of the C-Reach bridge, which plug directly into a wall outlet and connects the bulbs to your Wi-Fi network, the lighting can be controlled by Alexa and Google Assistant. With the C-Reach you can also control the lights remotely - useful for when you want to make the house look occupied while on vacation. C by GE also sells a smart lamp with integrated Alexa, called the Sol. This connects to your Wi-Fi network and can perform many of the same tasks as an Echo smart speaker. Being a proper Alexa device, you can use the lamp to control lights and other smart home devices with voice commands, or play music through the integrated speaker. Check out The GearBrain, our smart home compatibility checker to see the other compatible products that work with Amazon Alexa. 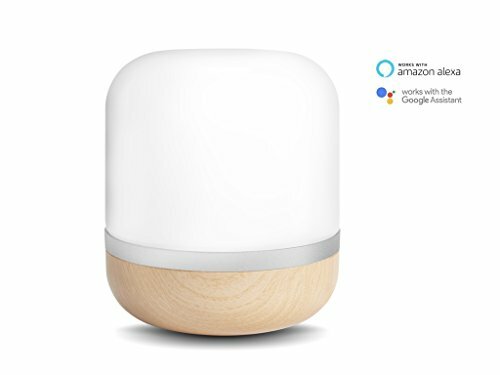 Google Home, Samsung SmartThings and other connected hubs and devices. Also, this is an update from GearBrain's Best Smart Light RoundUp from 2017.